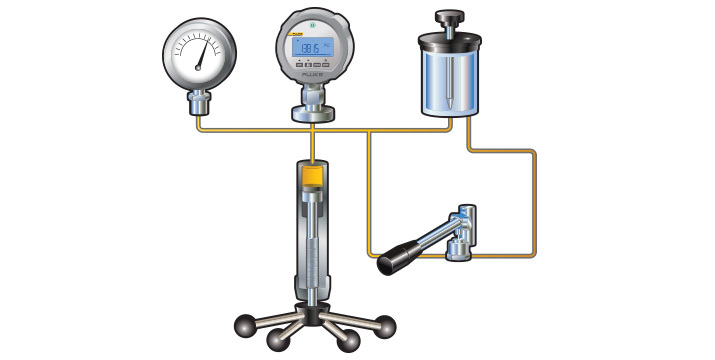 A pressure comparator is a convenient instrument for bench pressure calibration. Bench calibrations are performed to maintain reference conditions and to obtain the lowest possible uncertainties. The bench is also a convenient place to inspect, adjust, and repair the devices under test. The pressure gauge should be mounted in the same orientation (vertical or horizontal) as in the process. An angle adapter such as the P5543 may be used. 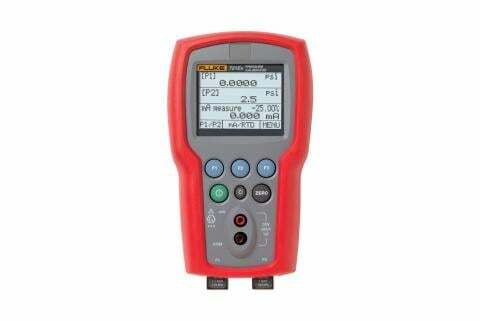 The reference pressure gauge (2700G) should be mounted such that the display is easily seen. For hydraulic comparators prime the fluid with the priming pump, to remove any bubbles. Measurement points should be distributed uniformly over the calibration range. Conveniently source pressure with a manual pump up to 300 psi, after that use an external pressure supply. 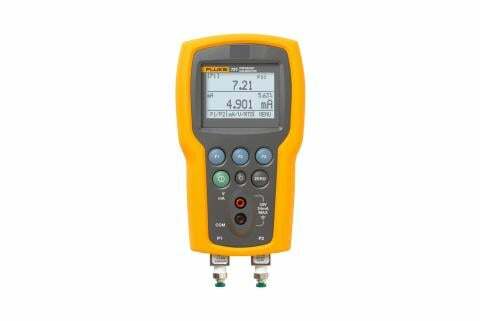 For gas comparators use the fine needle valve or fine adjustment screw press to precisely meter the pressure. With hydraulic models use the screw press to source and fine adjust the pressure. Find this app note including helpful Tech Tips along with EIGHT other application notes all in one convenient Pressure Calibration Guidebook, for FREE.